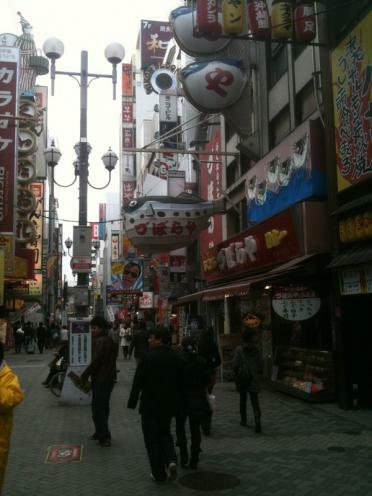 This is dotonbori. I needed to go to the Chinese consulate in Osaka today to apply for a Chinese visa. It was easy enough, though a little expensive to get there. After I applied for my visa I decided it was worth having a look around rather then just going home. 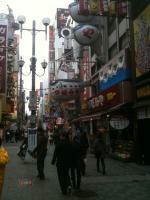 I walked from the consulate to shinsaibashi, dotonbori, namba, and nipponbashi. It was a little far but they are all interesting shopping areas. I was looking for another game for my gameboy. And also some kitkats. What I did get was about 12 cans of free coffee. It was pretty cool. They were handing them out in that whole area and cause i walked to each place I got handed a can at every intersection.... I drank four and gave the rest to shihoko and saki.